Kyiv is a fantastic, mystical and full of mysteries city. Here, you will find holy places with cursed tracts, places to make a wish along with spots of tortures, modern history and ghosts from the past side by side. Few citizens of Kiev are aware that there are several Bald Mountains (places where occult organizations converge on rites) in Kiev. Obviously visitors get into different funny situations, since they even have no idea what kind of house they have settled in and in what area they decided to take a walk. 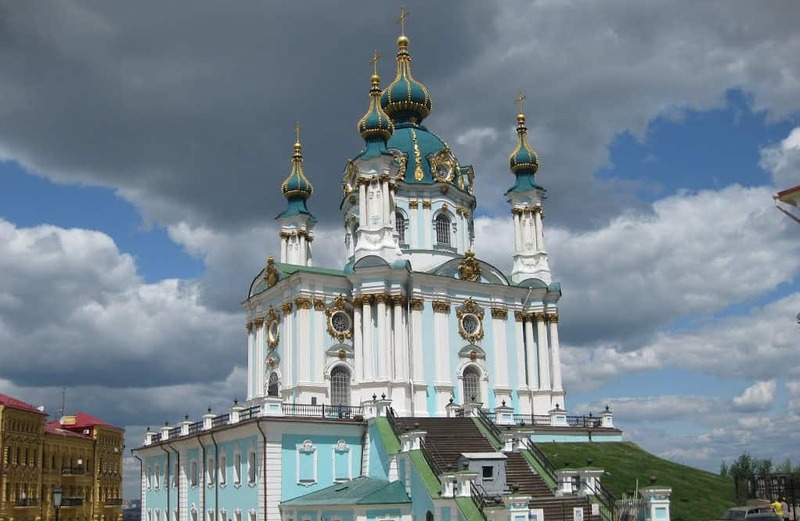 So, all the mysticism of Kiev can not be covered even in a week of a busy excursions program. Kiev is full of “devil’s crossroads” and churches where demons cast out. There are places with treasures buried. That is exactly where the lightning strikes constantly, attracted by non-ferrous metals. In the enchanted Green Theater, there is a labyrinth of mysterious tunnels that spreads all over the Grand City where mysterious Master watches the uninvited guests. Since ancient times, our ancestors lived in peace with nature. They have built a number of pagan temples where they used to worship the forces of nature and bring gifts to Perun (God of thunder and lightning), to Yarylo (God of the spring sun), to Veles (God of animals), to Ra (God of sun), to Svarog (God-blacksmith), to Dazhd-God (God of fertility) and others . In modern Kiev there are several pagan temples: on Kievitsa Bald Mountain, on Divych Bald Mountain, and on Zamkova Bald Mountain. By the way, we usually call pagans all the currents not included in the three main religions – Christianity, Islam and Buddhism. However, it’s is not really right, because, for instance, on Zamkova Bald Mountain you will find a new temple for worshiping our founders Kiy, Shchek, Khoryv and their sister Lybid who are actually humans!!! 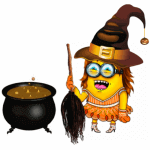 Every individual gets affected by places of power in different ways, and each witch has their own Bald Mountain. 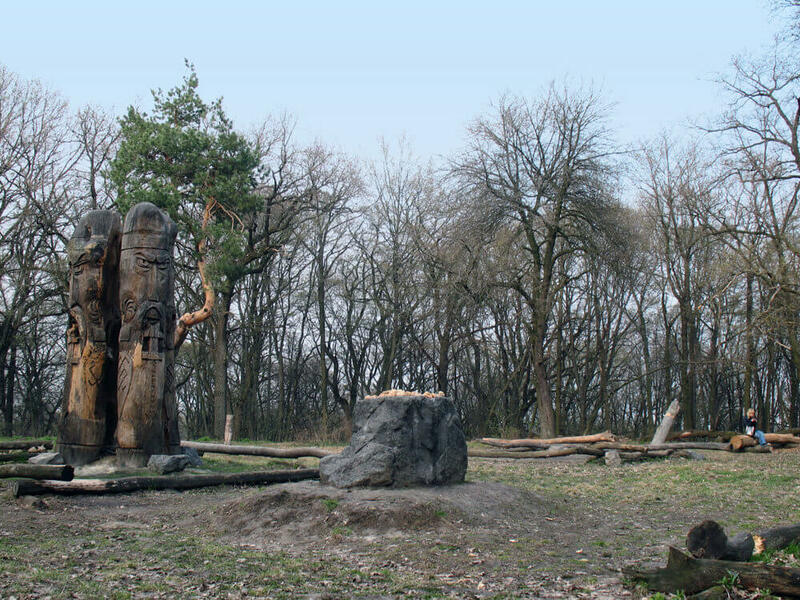 There are also healing springs and ancient trees that fulfill desires in Kiev. Of course, numerous beliefs encourage modern people to create mystical castles, such as the Chateau Mystique on the outskirts of Kiev or the Witch Kettle Cafe on Lvivska Square. People have fun and joke there while being watched by the invisible forces from the parallel world. Especially blurred borderline between the worlds is the one on the Zamkova Bald Mountain, where invisible eyes of ghosts are watching you from behind each bush. Their presence is so obvious that you willy-nilly get into a spiritual session. 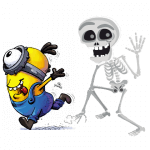 Here, ghosts are so real that sometimes they join the excursions. Two years ago they even saved tourists’ lives during a fire. After an excursion around the mystical Kiev, even the most sarcastic people start seeing more than previously. However alas, not all the creatures of flesh and blood have respect to the invisible. Therefore, more often than not there emerge obscure organizations, such as satanists, occultists, devil worshipers, black masses, the Order of Baphomet, and others, which desecrate the magic places for communication with spirits. These organizations ruin the aura of the Bald Mountains by carrying out bloody rituals and rites aimed at harming other people. Since ancient times, our ancestors believed in hostile powers, or the spirits of water which used to reside in the marshes, rivers and lakes. The toponymy of the city has changed. In the place of a bay now there is a residential area of Obolon, and the Goat Marsh has become the Maidan Nezalezhnosti. We imprisoned most of the rivers in sewers, thereby limiting the energy of the water element. Anyway, it did not disappear and did not hide. Instead, it keeps gaining momentum and accumulating. People don’t believe it though, because they can’t see the invisible world. We play with fire by establishing secret societies. We use magic signs for wrong purposes, such as placing the Pentagram on the badge of the Little Octobrists. We adorn the monuments with Masonic symbols, even without knowing their meaning. Thus, the all-seeing eye – a symbol of the Etalon Bank – was put on the Monument to movie characters Pronia Prokopovna and Golokhvastov, and the statue of Prince Vladimir on the Vladimir’s Hill was decorated with a picket and the head of Baphomet. 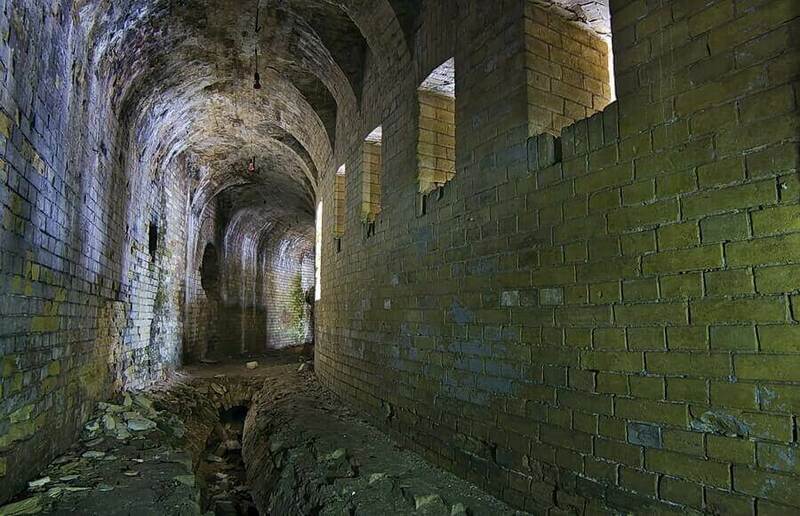 Kiev is abundant in secret and mysterious structures, such as the tunnel under the Dnieper. Many people think that it’s only stories until they appear at the entrance to the flooded tunnel on Zhukiv Island, which extends right up to the centre of the Dnieper … The bravest get into collectors with diggers and travel underneath Kiev, finding ancient manuscripts and walls covered with runes. However, such extreme trips are very dangerous and require excellent fitness and endurance. Many famous mystical geniuses used to live and work In Kiev. Among them: Mikhail Bulgakov, Gogol, the architect Vladyslav Gorodetskyi (the author and the owner of the House with the Chimeras), the artist Mikhail Vrubel (the creator of the “Demon” and others paintings). Their lives are full of mysteries, and their creations – full of mysteries, which are so hard to solve. However, most of the tourists are attracted to abandoned buildings and houses where no one lives for some mysterious reason. Richard’s The Lionheart Castle, located on Andriivskyi Uzviv near the house of Mikhail Bulgakov opposite the Bald Mountain, is one of the most mysterious buildings of mystical Kiev. It all started with the revenge of the builders who mounted the bits of glass and eggshells into the ventilation. The study found a mysterious cave right next to the castle, and the ceremony of “foundation” perfectly suits the description of the house curse consequences. Actually not all the cursed places look ominous and frightening. Thus, the “Metrograd” shopping mall was built inside the cemetery of the Bessarabian market, and the office premises are now located in the ghosts house of “Sulymivka”. The “Cradle of the Spirit” with the depiction of Kronos, who has eaten all his children has become the place for the residential apartments. People don’t even think about the consequences. It’s quite dangerous. That’s why there are so many churches in Kiev that block negative energy. That’s why the guardian of Kiev – Archangel Michael – is the only archangel with a sword in his hands. That’s why every second woman in Kiev is a witch. And this is not an exaggeration. Kievan women know more than they say. They possess the secrets. General Post Office (Glavposhtampt) is one of the main buildings located on Independence Square. It was erected in the 1950s in the style of the Soviet era, becoming the first large-scale reconstruction project of the post-war Khreshchatyk. As early as 1849, the first post office appeared on this site, which was owned by the nobleman A. Golovinsky. In 1939 the construction of a new post office was started, but in 1941 the building was blown up. Today on the territory of the General Post Office there is a Post Museum, where many postal rarities are collected. Abnormal spots are zones with strong flows of both negative and positive energy. According to the Kyiv specialists in energy flow, the main positive energy zones in the capital are the Pechersk Lavra, the Sofia of Kyiv, the Andriivskyi Descent, the Volodymyr Hill and the Botanical Garden in Pechersk district. The bundles of negative energy are mostly concentrated on the Bold Mountain, near the Moscow Bridge, around the Green Theater and the TV Tower. According to specialists in energy flow, blobs of negative energy affect the condition of a person by causing a headache or just a poor state of mind. Meanwhile, any zone of negative energy is interlinked with the positive one, necessarily present nearby. 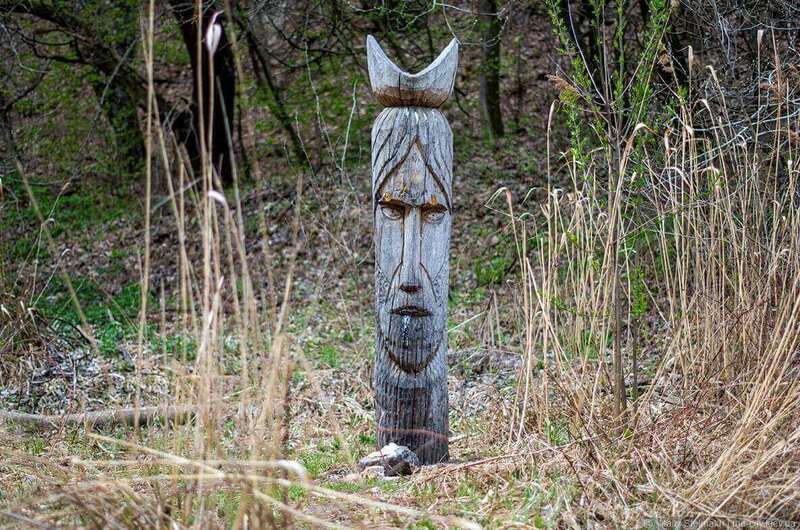 The mentalists in Kyiv mention numerous abnormal spots, assuring that they host ghosts, witches or other evil spirits. The pagan temple is a sanctuary on the Bald Mountain, where pagan rituals were held in the times of Kievan Rus. Since ancient times, the tops of the hills have been chosen as temples, cleansing them of trees and bushes. The top of the mountain became bald, hence the name – Bald Mountain. The place itself was considered strong energy. Today, you can meet today’s relatives of rituals, bioenergetics and psychics studying the area, as well as tourists who like extraordinary and amazing excursions. In the center of the temple there are figures of deities from thick logs – pagan idols. It is believed that these are idols of traditional pagan deities – Perun, Roda, Svarog and Yarila. All deities are located on the sides of the world, symbolizing the seasons. There is also an altar stone with ancient runes carved on it, on which sacrifices were performed. The Bald mountain is the most mystical mountain in Kyiv. Already in the period of Kievan Rus, pagan rituals were held here, while the ancient wizzards were making the first underground passages. Later on the territory belonged to the Pechersky Monastery. In 1872, there started the construction of the Lysogirskyi Fort of the New Caves Fortress. In the 1930s, the mountain was housing a military underground plant, and during the German occupation it was the base of the “Tiger” tanks. The Bald Mountain consists of the Mermaid Yar (according to the beliefs, mermaids live in the lake), the Witch Yar and the Dead Grove (the past times burials were found here ). For centuries, many legends and all kinds of stories of Bald Mountain have been accumulating. For example, they say that’s where the portal into the other world opens up. In the 1990s, there were rumors that the Dalai Lama sent Buddhist monks there to pray for the end of confrontation between Tibet and China. Scientists also say that the area of the Bald Mountain contains one of the most powerful geo-pathogenic zones in Kyiv, which triggers various abnormal phenomena. Today, the place of power still attracts neo-pagan groups of ridnoviry, mentalists, scientists and curious tourists. Kiev Art Gallery – opened in 1922 and is located in a historical building on the street. Tereshchenkovskaya. It was based on the basis of nationalized private collections, most of which was the collection of the family of patrons Tereschenko. 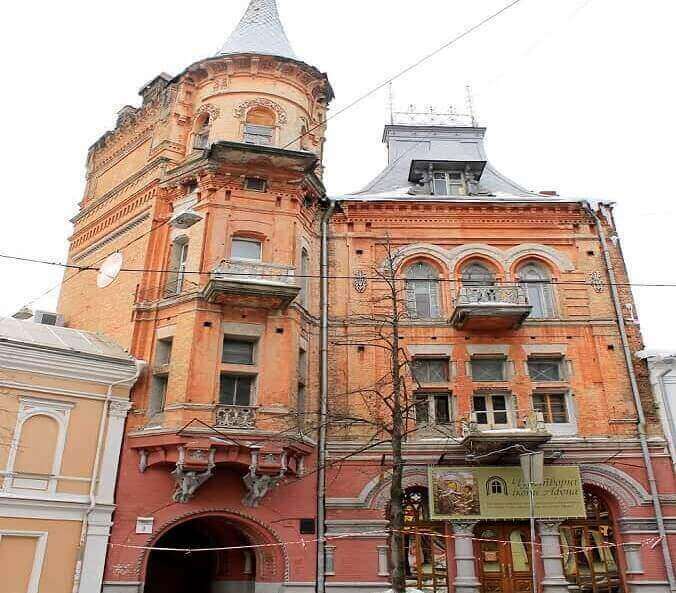 The museum is located in the former Tereshchenko mansion, in which cultural life was rampant. Energy, enclosed in the walls of the building, has survived until now. Museum staff say that you can hear the creaking of the parquet, as if someone is walking around the halls. Only those who like Tereshchenko’s home work in the museum. It is said that an employee who has become associated with a museum ceases to grow old and is less sick. And all thanks to the energy that the house-museum carries. It is not just a museum with values, but an old mansion that lives its life – with ventilation strokes in the walls and with its own ghosts. University of. Shevchenko – built in 1837-1843 years. architect Beretti. 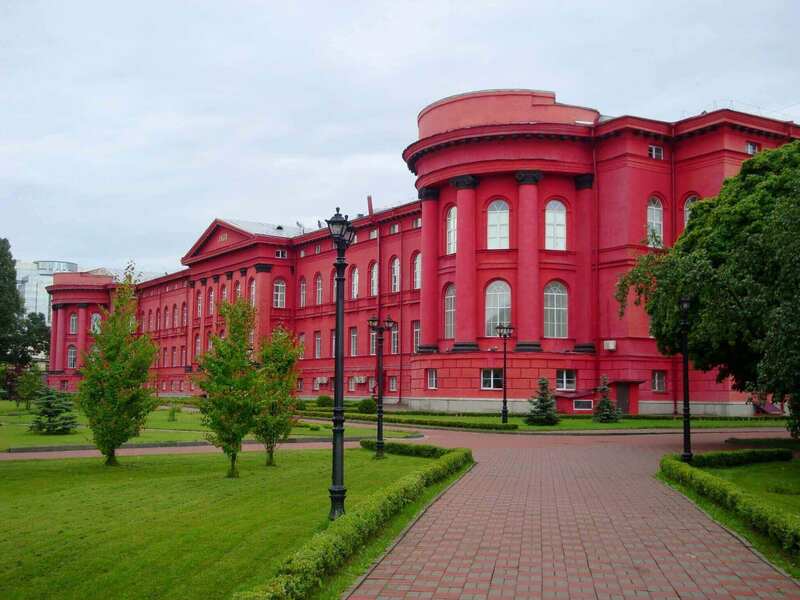 The red color of the facade, the black details of columns and cornices correspond to the colors of the Order of St. Vladimir, whose name was worn by the university. The motto of the Order “Good, Honor and Glory” also became the motto of the university. In the middle of the XIX century. 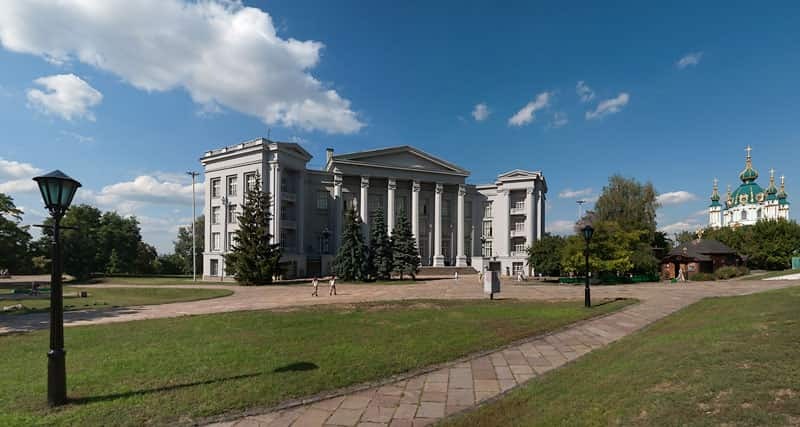 The university became the center of science and socio-political worldview of Ukraine. Many legends gathered about the university. Among the inhabitants of Kiev there is a legend about the river flowing under the Red Corps. The river flows into the botanical garden through the arched vaults of the exits from the tunnels. They are visible in the western part of the garden on the slopes of the hill, which overlooks the Red Corps. Among the students there is a story about a poltergeist, who wanders in the evenings along the corridors of the Red Corps. According to one version, these steps belong to the spirits of people whose bodies were prepared by students in the university morgue, which was located in the walls of the Red Corps in the XIX century. Another rumor that goes around among students is the existence of a laboratory for studying cosmic rays. The uniqueness of the laboratory lies in the fact that it is connected by underground passages with the metro station “University”. There is an opinion that you can go straight from the metro station through these underground tunnels to the Red Corps and vice versa. Another purpose of the tunnels is the opportunity to hide to students and teachers at the metro station “University” during a nuclear explosion. The house of the descendants of Count Dracula is located in Chernihiv. Several centuries ago strange events related to people going missing in the city of Chernihiv were happenig. There had been rumors among the locals that the missing people were found completely drained of blood. 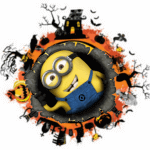 The townspeople started suspecting one of the deceased residents of the city, who’d got a nickname of Count Dracula. 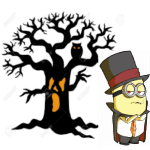 Then people organised a round-up, opened the crypt of the suspected “vampire” and stuck an aspen stake right into his heart. After this incident, the rumor was saying that the grave of Count Dracula disappeared and is now on the bottom of the Desna River. Believe it or not, the descendants of that count had to move from Chernihiv to Kyiv, where their home had survived until today. Opera House – opened since September 16, 1901. 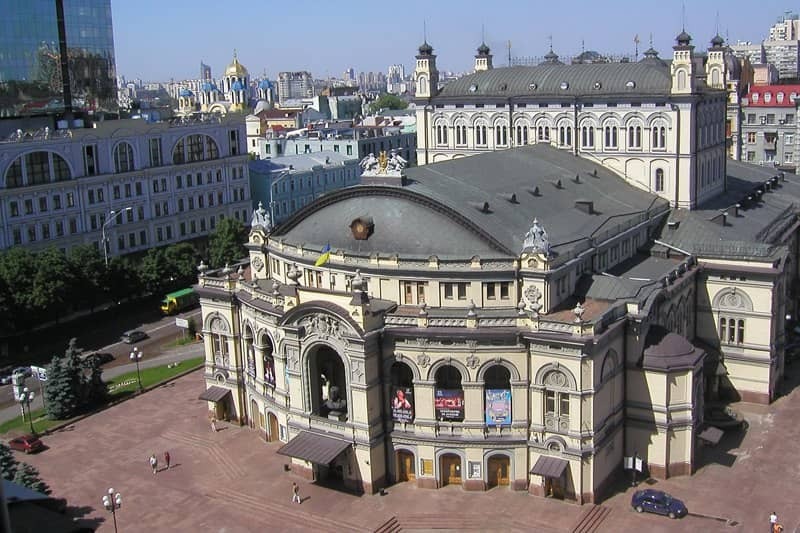 At that time it was a theater with the largest opera stage in tsarist Russia and it was equipped with the latest technology. Although at first the critics called the building awkward and compared to a turtle. The appearance of the building of the Opera was preceded by a very sad event. In 1896, after a morning performance, a fire broke out in one of the make-up rooms, which covered all the premises of the theater, leaving only charred walls. The newly erected building of the Opera was very popular. On her stage voices of famous singers of the 20th century sounded. Here the legendary Fedor Chaliapin sang. But there is a tragic plot in the history of the theater. So in 1911, during the play, Prime Minister Petr Stolypin was mortally wounded. After it began to tell that when the theater is empty, you can hear the groans of the wounded Stolypin. The Podgorsky mansion, also known as the Baron’s Castle, is considered one of the romantic and mysterious mansions of pre-revolutionary Kiev. It was built in the end of XIX century. in the style of modernized Gothic by the order of the Polish landowner Mikhail Podgorsky. The building is like a medieval castle with a high spire, decorated with sculptures of fantastic animals, immediately attracted the attention of the townspeople. In its history, the mansion was endowed with many legends and myths. So, for example, the local residents gossiped that the deceased owner of the mansion had built a house for a mistress, and she soon committed suicide and since then her spirit has been wandering around the “castle”. There is also a belief that chimeras guarding the “castle” help creative people in difficult moments. 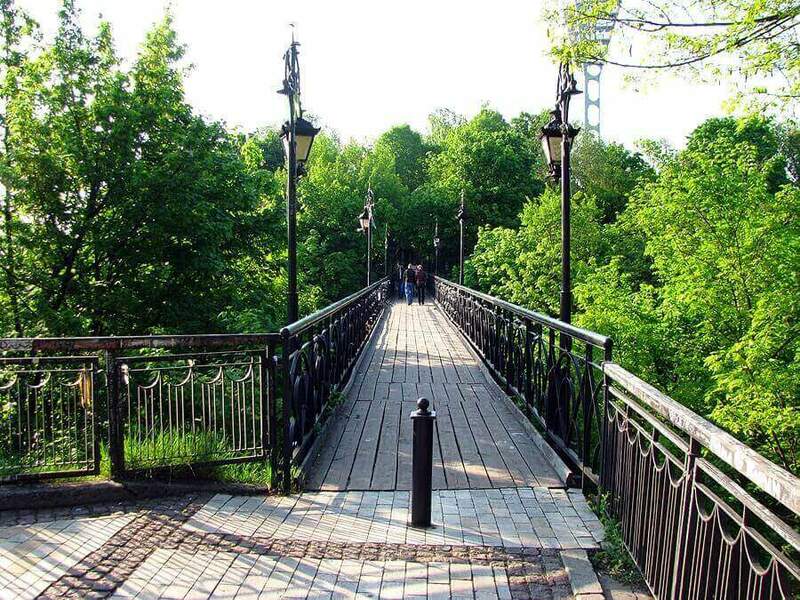 The bridge of lovers is a bridge connecting the two most beautiful park of the capital, Khreschaty and Mariinsky. The park bridge was built according to the project of Eugene Paton and was opened in 1910. The bridge of lovers is the name of the people. Here often come newlyweds and lovers couples to decorate it with ribbons and locks. But there is one more name at the bridge – it’s the Devil’s Bridge. It is this romantic bridge at first sight that topped the list of places where the most suicides were committed. They say, desperate from unrequited love, and even those who decided to leave for another world, I choose this bridge for the last jump. Bioenergetics assure that there is no particularly high concentration of negative energy in this place. Rather, a weak biofield for those who decided to commit suicide. There are pleasant moments at the bridge. For example, if you are here to kiss a loved one, then he will remember you all his life. And if you join hands and cross the bridge – will remain inseparable forever. The Verkhovna Rada of Ukraine is a parliamentary house for meetings, built in 1939 by the architect Zabolotny, who in 1940 for his project was awarded the Stalin Prize and was appointed the chief architect of Kiev. 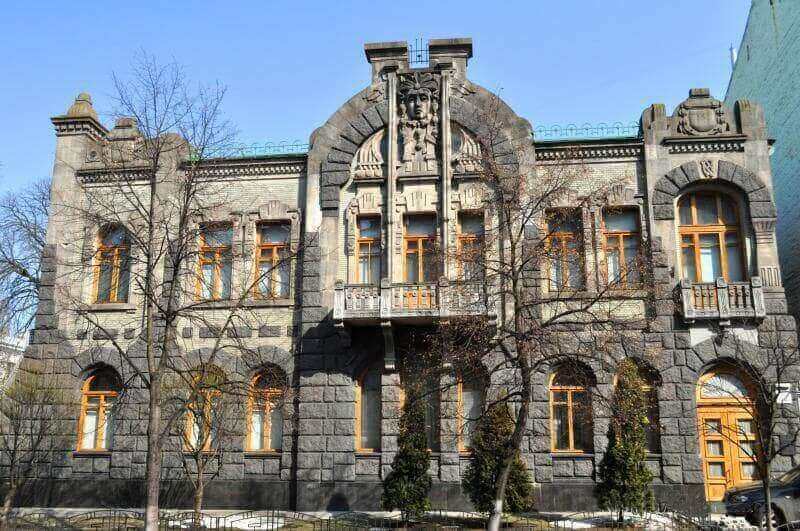 After the transfer of the capital from Kharkov to Kiev from July 1939 to Hrushevsky, 5 in the new building began to take place the Ukrainian parliament, where they continue to this day. The peculiarity of the building is not only in its architectural solution, but also in the place where it is installed. 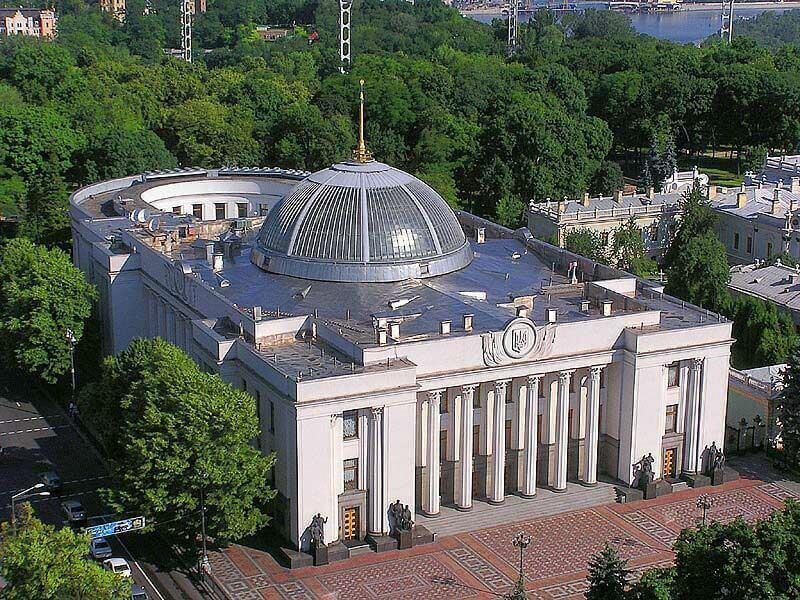 There is an opinion that the Verkhovna Rada is located next to the geopathic zone. Such a zone can affect blood pressure, and a long stay can lead to heart attacks or strokes. In addition, the fields of geopathic zones are responsible for the appearance of poltergeists. Historians say that even in antiquity this area was considered “unclean”, and some chronicles are associated with the Pechersky hill of the disappearance of livestock and even people. The house of the weeping widow is a two-storeyed mansion in the Art Nouveau style, built in 1907 for the family of merchant Arshavsky. The merchant and his family lived in the mansion until 1913. After the house was sold to the Kiev merchant of the 1st Guild of Apshtein and belonged to his family until 1918. His mystical name was given to the mansion because of the huge mascaron in the form of a woman’s face that adorned the facade of the building. During the rain, it seems that tears are dripping from her eyes. The woman’s face is crowned with chestnut leaves that diverge from one point in the forehead – the “third eye”, that is, the chakra “ajna” responsible for foreseeing the future. This image could be gleaned from the esotericism popular at the time. In fact, there is no exact version, whose female face has decorated this mansion. But it was the woman’s face that made the house enigmatic, giving rise to legends and rumors. The name of the mansion is explained not only by raindrops flowing down the stone woman’s face, but also because in his house after his death, his wife lived for some time, who was very sad about the death of her husband. They say that if you stop at the windows of the hostess at night, you can see a dim light and hear a quiet whisper. 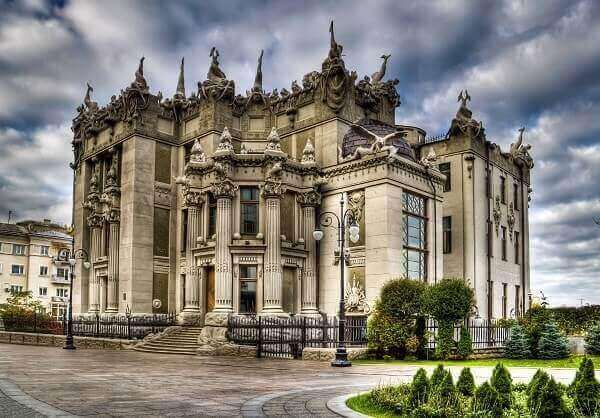 The house with chimeras is the most mysterious mansion in Kiev, enveloped in legends and myths. It was built in 1902-1903. known architect of Kiev Gorodetsky and is his best creation. For the construction of the building, Gorodetsky chose a site near the cliff on the former shore of the drained Goat Marsh. 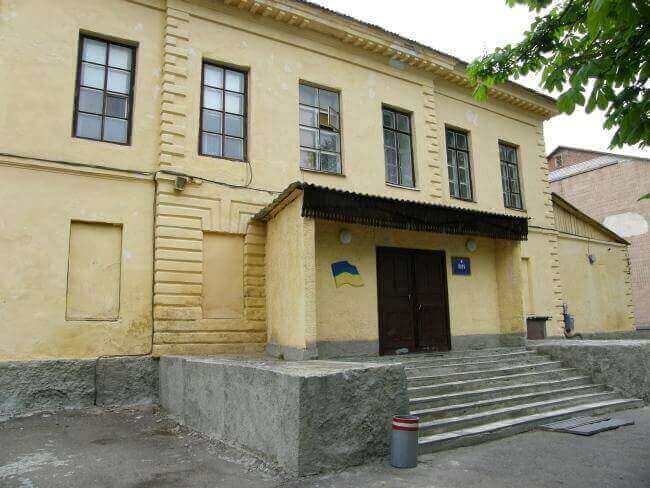 It was the first house in Kiev, erected from an expensive cement at that time. Attracts attention to the facade of the mansion, decorated with figures of unusual creatures – here and sea reptiles, crocodiles and lizards, huge toads, heads of rhinos and other animals. The interior decoration of the mansion is also rich in stucco, which depicts the underwater world. Legends accompany this building almost from the day of its creation. They say that the chimeras on the facade of the House are a tribute to the architect of his drowned daughter, who committed suicide because of unhappy love. But this story was refuted. According to another legend, one who sees a crocodile on the facade of a building can make a wish and it will come true. After Gorodetsky’s departure, rumors spread that the mansion was cursed by the architect and only his relatives could live in the house, and all the others who lived will be unhappy. Maybe this is fiction, but the institutions that rented the room here were closed or ruined. 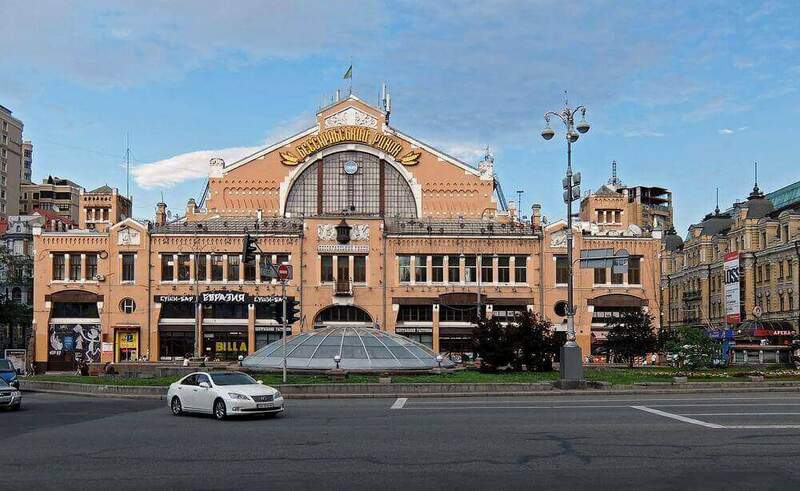 The Bessarabian market – opened since 1912 on Bessarabskaya Square in the center of Kiev. It was the first in the capital covered market and the main object of the square. Bessarabskaya Square appeared at the turn of the XVIII-XIX centuries. as a horse post station, next to which a spontaneous bazaar was soon formed. Near the square was a swimming pool with underground springs. Until the middle of the XIX century this area was the outskirts of Kiev and there was an old Lutheran cemetery (XVII-XVIII centuries), which was later moved in connection with the construction of Khreshchatyk. Hence the rumor that this place is with unfavorable energy. There is another story, which speaks of the positive qualities of the place. So, the structure of the Bessarabian market has in its design pyramids, which carry healing properties. Once upon a time in the market there was a hotel and merchants who brought goods, stayed here for the night to gain strength under the roofs of the pyramid form. Maybe it’s fiction, who knows. 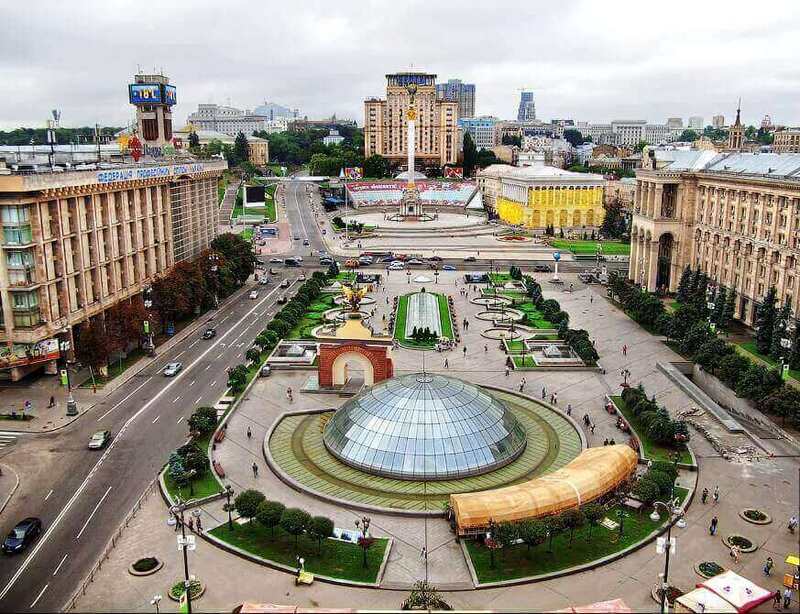 Independence Square is the main square of Kiev and the country. This area is known even before the X century. and was called the Perevesishche, representing a dense swampy thicket. Until the end of the XVIII century. on the place of the square there was a wasteland with a swamp, which in the people was called “Goat”. It has long been believed that places with dried marshes carry negative energy. Because this area was famous among the citizens of one of the most bad. Explanation to that was confirmed by studies. The matter is that the area is located at the intersection of the strong geopathic zones of Kiev – Khreshchaty Yar and the Dnieper fault. Psychics also assure that this is a place with “dark” energy. It is not surprising, why in the history of the square there are many tragic moments. So, in 1946, a public execution of Nazi war criminals took place here. In 1989 the visor of the main post office collapsed, taking the lives of 11 people. In our time, the present Independence Square became the epicenter of revolutionary events. 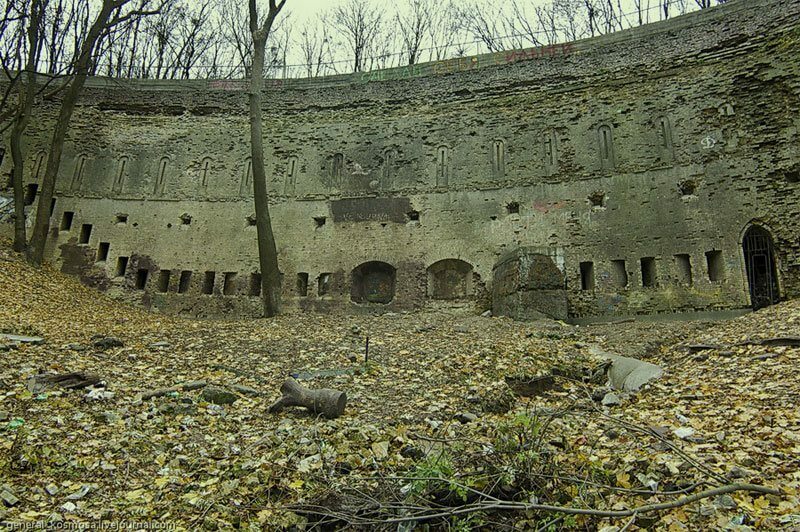 The Green Theater (underground tunnels) is built on the ruins of the fortress structure of the XIX century. Through the supporting walls, an underground passage passed, leading to the former Arsenal plant, connecting its workshops and the water pump. Many psychics and bioenergetics assure that under the Green Theater there are underground catacombs with a depth of 9 underground “floors” that were laid back in 1161. According to them, these moves, along with the Kiev-Pechersk Lavra, have been and remain the center of underground communications since the times the foundation of Kiev and to our times. The basis for the legends was a system of drainage shaft systems with multiple entrances. It is rumored that under the ground at the lowest levels is the lost library of Yaroslav the Wise. Among diggers there are rumors that they allegedly even found some scrolls. Dungeons of the Green Theater store incredible stories about ghosts and missing people, as well as a parallel world. To this day, this place has preserved its mystical image, attracting the attention not only of historians, psychics and diggers, but also of curious tourists. The Green Theater (retaining walls) is built on the ruins of a fortification structure of the XIX century. During the fortification of the Pechersk fortress, two support walls were erected for a ravine located between the Arsenalna metro station and the Mariinsky park. In 1949, at the base of the upper wall, a cinema was built (now in an abandoned state). The Green Theater is one of the most mystical places in Kiev. Legends of ghosts and mystical cases in this place are many. Once here there was a tract of Provalier, next there was a cemetery of suicides, after it there was a monastery which burnt down, having existed about a century. After that the place was notorious. Mysterious ruins of the Green Theater with unusual energy attract people of informal and alternative movements, diggers and researchers of paranormal phenomena. It is rumored that under the stage of the theater there lives a mystical Host. Some claim to have seen him and even communicated with him. It is believed that the ruins of the theater can talk. So at night from the dungeons you can hear sounds, in which the cry of “Hurray!” Clearly pops up. A similar phenomenon is called the “Rhodian miracle” and is studied by scientists. Kiev researchers suggest that it is conserved in the dungeon sounds of the battle, held near Kiev in the XV-XVII centuries. There is also one secret of the Green Theater, which has not yet been solved – it is the presence on the wall of old bullet holes, despite the fact that the fortress did not take part in the battles. The mystical stories of this place are inexhaustible. 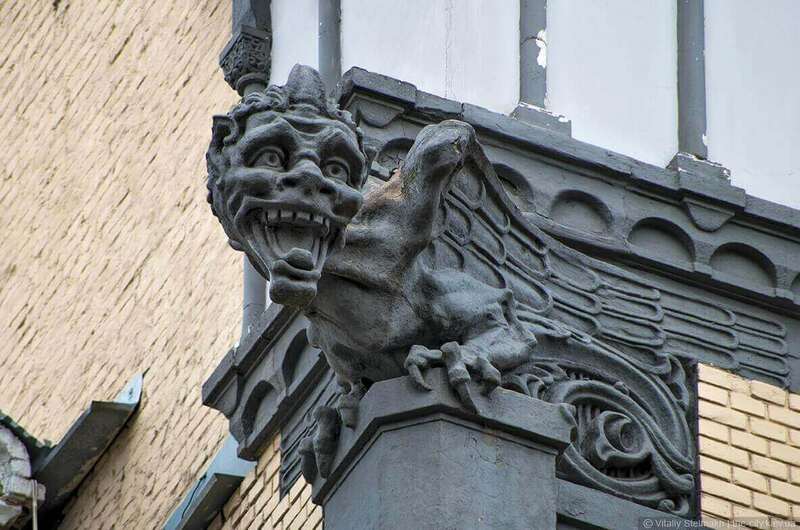 Gargoyle – a chimera with wings and a snake’s head, adorned the facade of the building along the street. Big Zhitomirskaya, 8. According to legend, this creature inhabited France in the river Seine, spewing out water and turning the boats. Old-timers say that the owner of this house was a certain philistine Rogovsky, who was fond of spiritualistic sessions. A mystical halo immediately arose around the mansion. It was believed that the gargoyle protects the house and its master from evil spirits and all ungodliness. Funicular – opened in 1905, connecting the Upper Town with Podol. At the top of the funicular was the city garden. Previously, the garden belonged to the St. Michael Monastery. In the XVII century. in the notes of the researcher P. Rozvydovsky is mentioned as the garden of Kuchinsky, who used to be notorious. Rozvydovsky wrote: “The Kuchinsky Garden, where the witches flew …”. 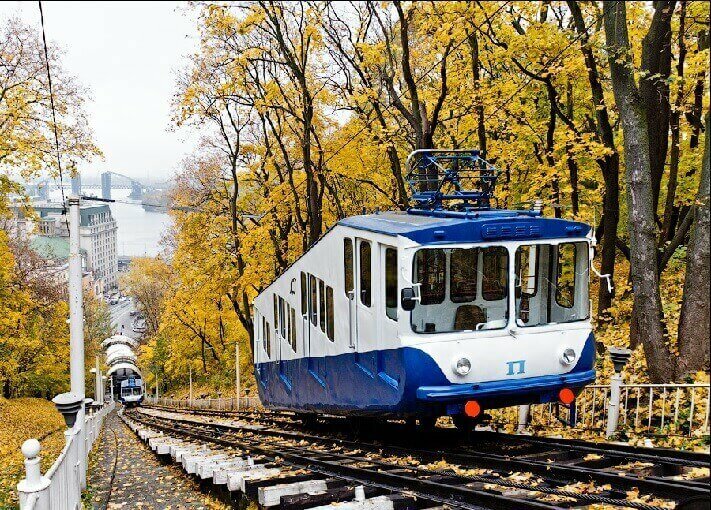 About the evil spirit also mentioned the historian Maxim Berliner, calling the garden “a bugaboo for the people of Kiev.” It is worth noting that the area where the line of the Kiev funicular was built was called in the times of Kievan Rus the Khreshchatyk tract or “Devil’s Beret”. It was believed that here was one of the main pagan temples in Kiev. And it was from here at the baptism that Prince Vladimir dropped the huge idol Perun down to the Dnieper. 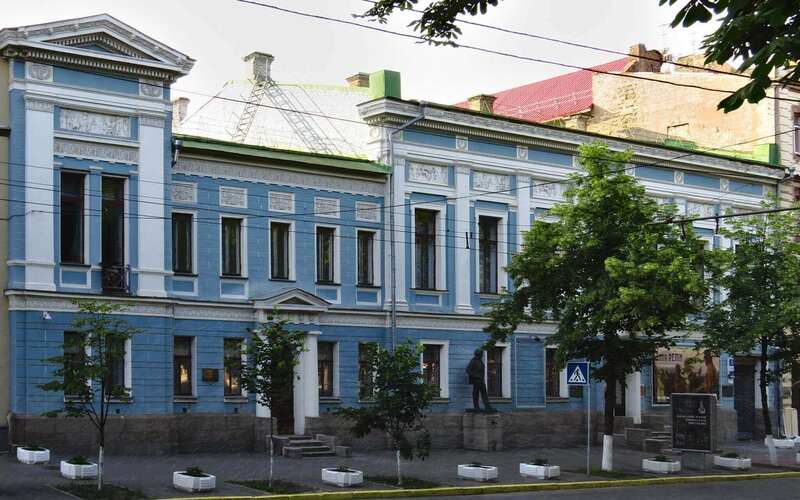 The Bulgakov House is a literary-memorial museum on the Andreevsky Spusk, 13. In 1906-1919, here lived a famous writer Mikhail Bulgakov. For many years the house was nothing special. But in 1967, in a popular then magazine “New World” was published an essay by the Kiev writer Viktor Nekrasov “The House of Turbins.” That’s right, according to the names of fictional Bulgakov literary heroes, the Turbin family, the people of Kiev began to call the house number 13. Today this is a legendary house, which collected a lot of mystical stories about the author of “Master and Margarita”. First, this is the legend about the number 13, which corresponds to the number of the house. In addition, Bulgakov lived here for 13 years. Supporting the mystical spirit, they tell about the broken 13th step of the staircase in the house. The museum staff assures that they have seen ghosts in the house and heard the knock of the house-owner who lives here. 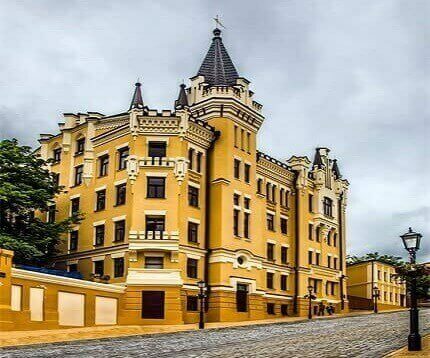 Castle Richard – the most mystical building in Kiev, built in 1902-1904. in the style of English neo-Gothic. Richard Castle was built by the order of a contractor Orlov. To live in his castle the owner was not destined for a long time. In 1911 Orlov was shot, after which his wife had to sell the house for debts. About the castle long gone bad glory. None of the new masters of the house for a long time in it did not linger. 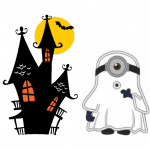 It was said that the ghost of the murdered Orlov roamed the castle, making terrible groans and sounds. Myth was dispelled when an egg shell was found in the chimney, which, resonating, created terrible howls. Sounds have disappeared, but legends continue to hang around Andreevsky. Despite this, in the castle still no one could get accustomed. The building is empty today, growing rumors. St. Andrew’s Church – built in 1749-1754. Baroque style by Rastrelli. It was erected on the steep spur of the Starokievo Plateau, which served as a pedestal for the construction of the church. According to the chronicle “The Tale of Bygone Years”, the hill on which the church stands is washed by the sea. Apostle Andrew the First-Called in the I century. AD established here a cross, predicting the emergence of a large city. After that, the water retreated, and the church closed the underground sea, which can only be awakened by a bell ringing, triggering a deluge. Therefore, St. Andrew’s Church has no bell tower. Legend or not, but during the Soviet era, the temple did not blow up. In fact, groundwater erodes the foundation, causing landslides. Also there are rumors that the terrace of St. Andrew’s Church is bewitched. Castle Hill is a hill with a history of several thousand years, located next to the Andreevsky Descent. In the times of Kievan Rus, the mountain was called Horyvica. It was also known as Kiselevka or Florovsky, and from the XV century. – Castle. The origin of the last name is associated with the construction of a wooden castle built after the entry of Kiev in 1363 into the Lithuanian principality. In 1840 the Castle Hill was transferred to the Florovsky Convent under the cemetery, which in 1921 was closed. Today Castle Hill is an ambiguous place, with which many legends and mystical stories are associated. It is considered the main place of power in Kiev. They say who first climbs it, then it can make a wish. On the Castle Hill you can see the remains of an ancient cemetery and a pagan temple. Here the Old Believers often gather for their rites. Starokievskaya Mountain is one of the central Kiev hills, located in the Upper City. The place of power, which has collected energy from the time of the creation of Kiev. According to legend, it was here that Prince Cue founded the city, which is reminiscent of a commemorative sign with the inscription “From here there is a Russian land …”. On the Starokievo mountain preserved the remains of the walls of the prince’s detinets, as well as the foundation of the first stone church of Kievan Rus laid by Prince Vladimir – the Desyatinna church (989-996). 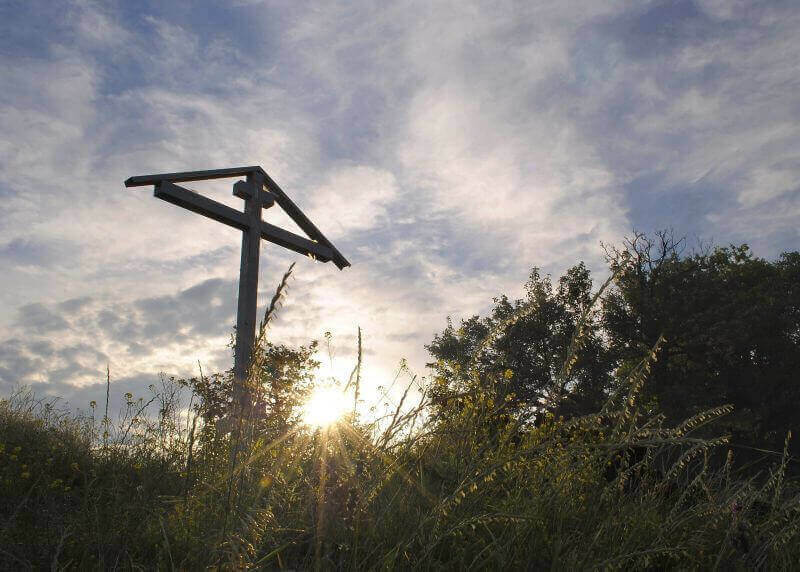 In the pre-Christian period there was a pagan temple where sacrifices were made to idols. The townspeople still consider this place to be mystical, and the guides tell various legends.